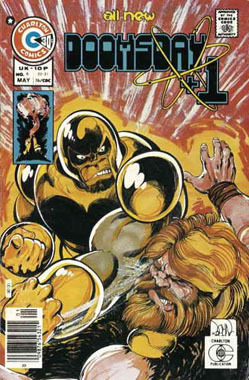 Before making a name for himself on X-Men in the 1970’s, John Byrne illustrated Doomsday +1, which was written by Joe Gill and published by Charlton. 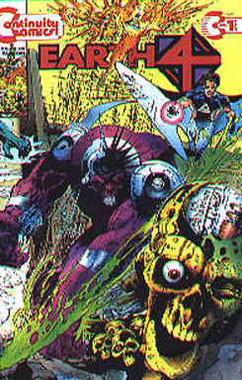 This post-Apocalyptic work was Byrne’s first original, color-comics series and it went on for six issues, initially. Actually, the first series ran for 12 issues but issues #7-12 just reprinted the first six issues. Continuity Comics launched Urth 4 in 1989 and, when their comic universe underwent a revival in 1993, it was retitled as Earth 4. The first issue of their new series seemed to pay homage to the last all-new issue of Doomsday +1.